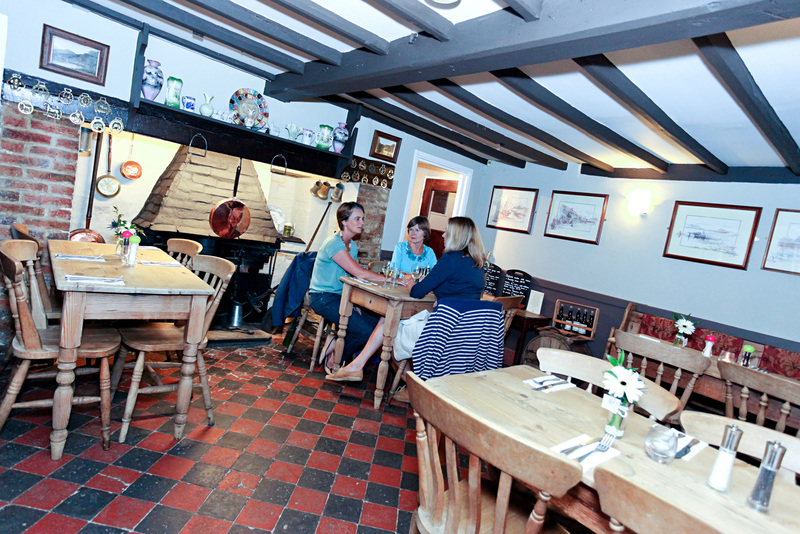 With a main menu of gastro-pub favourites, plus a specials board that makes the most of seasonal, home-grown produce, the Kings Head is a popular choice for a country pub meal near Ashford. There’s a great selection of pub classics, grills, lighter dishes and salads, plus the all-important desserts board with an array of homemade puddings. There’s also a children’s menu available, offering two free scoops of ice cream. Every Friday at the Kings Head is ‘Fish Friday’ - with a typical choice of cod, haddock or plaice fried in our delicious home-made beer batter. Sundays, meanwhile, are all about our roast - with a selection of starters followed by freshly roasted meats, Yorkshire puddings, roast potatoes and a seasonal vegetable selection. As you can see from our reviews on TripAdvisor, the Kings Head is a popular place to eat, so we advise you to book in advance. Contact us now to avoid disappointment! Many thanks to Wishinguwerehere and Tony W and for sharing their photos of our food on TripAdvisor.